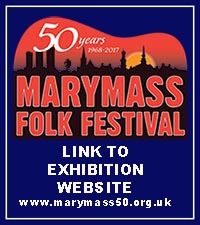 Sunjay first appeared at Irvine Folk Club four years ago, and made such an impact that he has played several occasions since at the Club and Marymass Folk Festival. Go along on 21st November and you will understand the reasons for his popularity. Sunjay is a very talented and immensely likeable performer. From Stourbridge in the West Midlands, Sunjay picked up the guitar at age four and hasn’t put it down since. He won a scholarship at The Royal Wolverhampton School and credits the school with nurturing his talent. At home, his Dad introduced Sunjay to the music of Don McLean and Buddy Holly and now his guitar picking skills are said to be among the very best. Much of Sunjay’s time last year was taken up with a show called Buddy and his fourth album goes under that name with the cover featuring a pair of horn-rimmed glasses. Sunjay’s undoubted musical talents were recognised nationally as far back as 2012 when he was nominated in BBC2’s Young Folk Awards and since then he has gone from strength to strength. He is a much respected performer in the Folk and Blues world and also draws his material from Country and Rock. He sometimes drops in some of his own compositions. Sunjay plays acoustic guitar with great feeling and intricacy and such is his relaxed stage presence that for all the world you would think he is at home playing music for a few friends. Matching his mastery of the guitar with strong vocals, it’s not difficult to see why Sunjay is a much sought-after performer. The Irvine date is part of a UK tour. Hear Sunjay for yourself at Irvine Folk Club on Wednesday 21st November in Vineburgh Community Centre in Quarry Road. The Club starts at 8pm and it’s BYOB. Elsewhere, this Friday 16th November at The Harbour Arts Centre Irvine Shelagh McDonald is in concert with Nigel H Seymour. All info from The HAC on 01294 274059.